Same venue, even better Zorbing experiences! 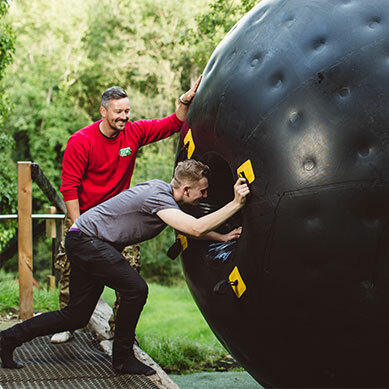 Situated in scenic Surrey woodland, our Zorbing park is easily accessible for Zorbing London, as well as for customers traveling from all over the South East of England. 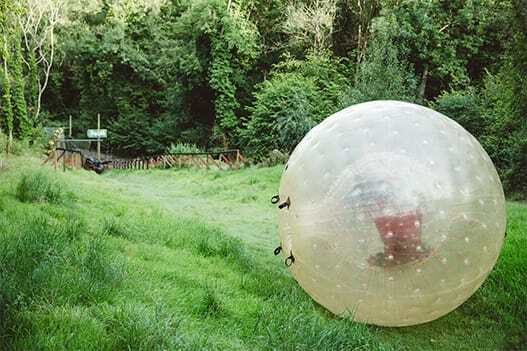 GO Zorbing is located only 10 minutes from Junction 6 of the M25, with free car parking available at the forest venue. We also have mainline train station only a 10 minute walk away, with direct trains to London Bridge or London Victoria. Pre-booking is always essential, to ensure the venue is open and we have availability for your group. We run the longest Zorbing season available anywhere – March to October – and are generally open every weekend (Saturday & Sunday) over that time, as well as certain midweek dates for private and public events. You can see full dates and live availability online, through our Book Rides page, or you can purchase an open ended Voucher should you want the recipient to be able to choose their own date/time of their experience.